A re-make of the classic arcade game using our anti-aliased vector graphics code. 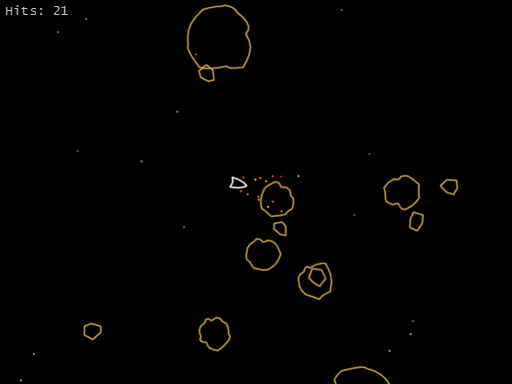 Your ship has been stranded in the middle of outer space, and you're being attacked by an endless stream of Asteroids! Er... Or something like that. Does this game even need a story, it's freaking Asteroids with an online high score table! So why haven't you wasted your entire day playing it yet?